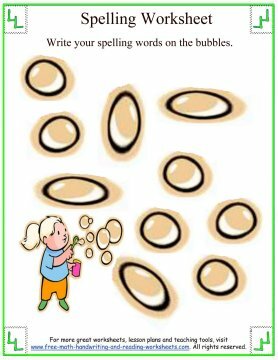 Here are a few more 1st Grade Spelling worksheets for you to print out and use. 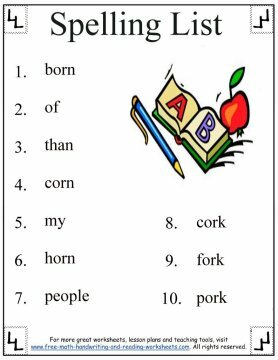 This lesson will focus on spelling words that use the phonetic sound /or/ in them--such as born, corn, and fork. 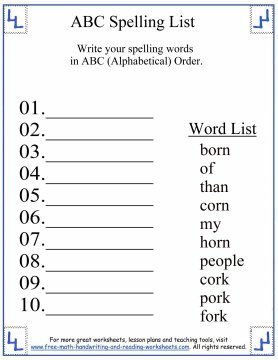 There are six spelling activity sheets you can print out below and use at home or in the classroom. The first printable is a simple word list that features all of the spelling words for this unit. 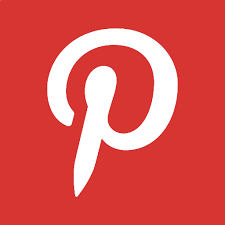 Print it out and let your child look it over or use it as a study guide while he's working on the worksheets. The next paper is an alphabetical order task. All of the words are scrambled up on the right side of the page. Write them on the lines provided in alphabetical order. 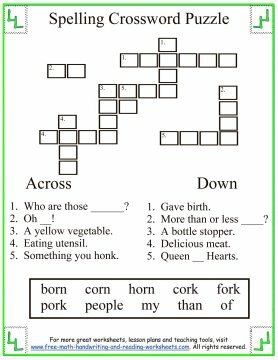 The third handout is a crossword puzzle using easy to read sentences for the clues. 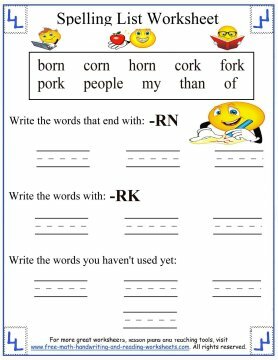 The next printable is a writing task. 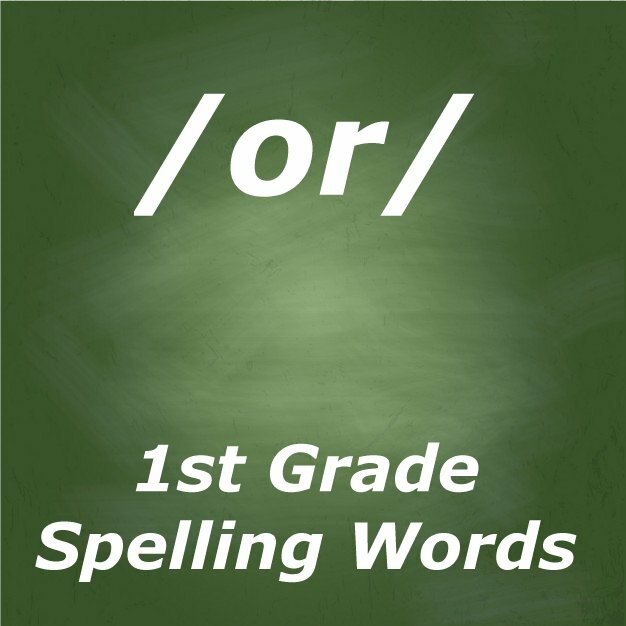 Students will be asked to sort the spelling words based on their endings--either -orn or -ork. There are also some sight words included on the list. Write these on the lines at the bottom of the sheet. The last two worksheets are very similar. 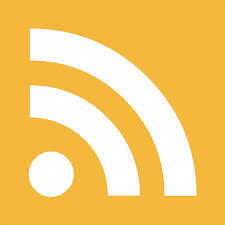 I like to include color on the worksheets that I use with my kids, but I know that color worksheets aren't always an option, especially in a classroom setting. I made two versions, one of which your child can write her spelling words on. 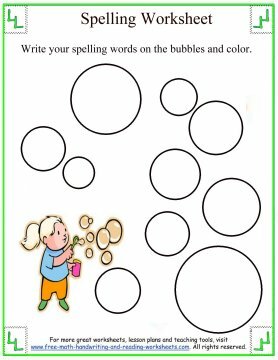 The other can be used to write the words and then color the bubbles according to the legend. Color all -orn words blue, -ork words purple, and the sight words all pink.